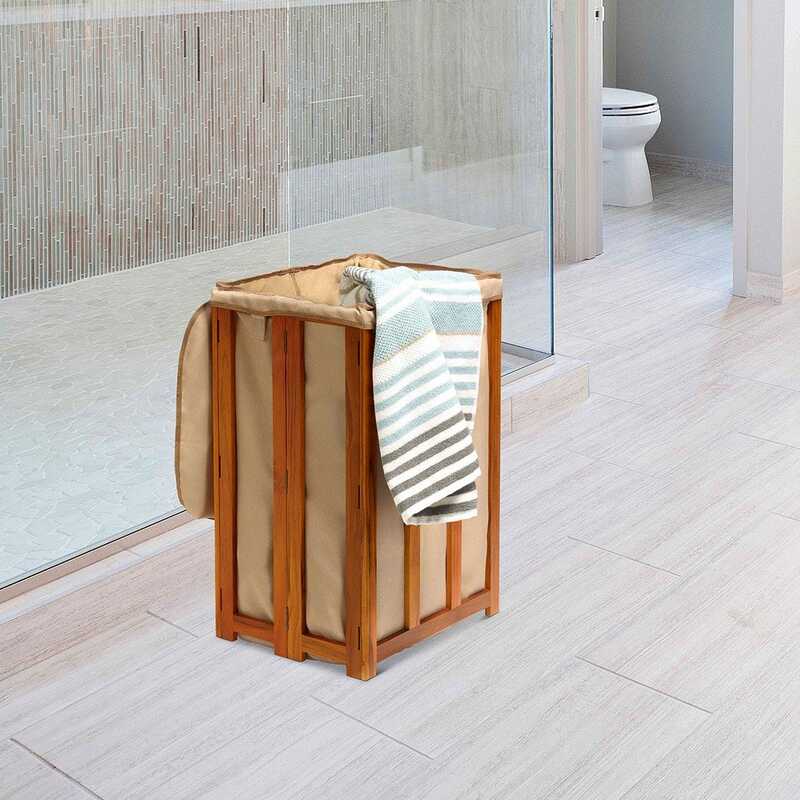 Tidy up your dirty clothes in the corner with a Teak Laundry Hamper. 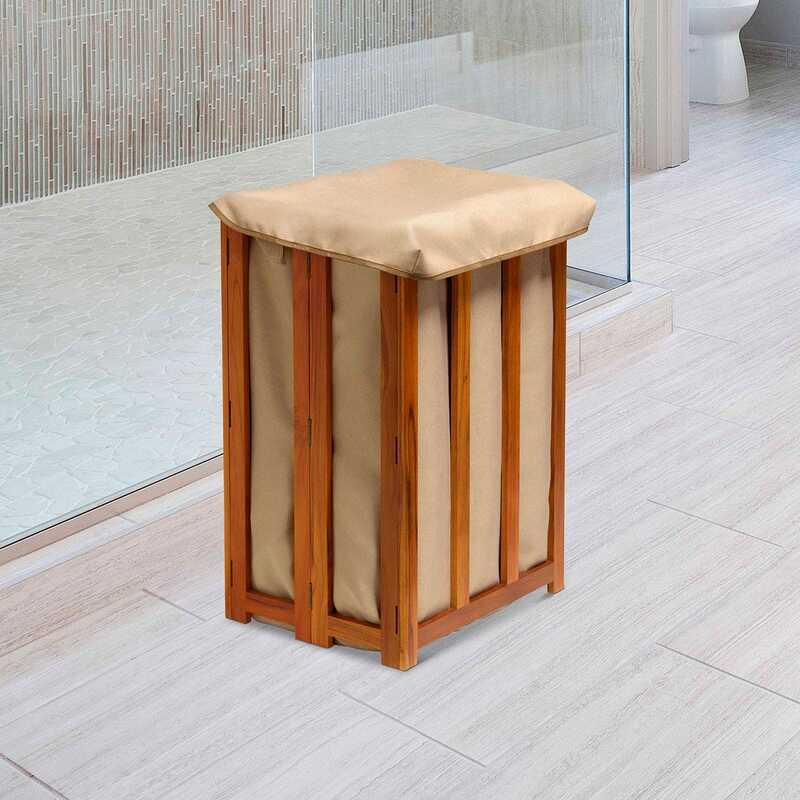 Teak Laundry Hamper is made of natural teak wood which is known for its strength, beauty, and durability. The organic oils and resins found in the wood make it naturally resistant to water. Removable laundry bag for easy trips to the washer. Velcro tabs secure the heavy-duty nylon laundry bags. Folds flat for easy storage. Measures 15 3/4”l x 24 1/2”w x 13”h.